FREE FetchFuel Sample For Your Dog! You are here: Home / FREEbies / FREE FetchFuel Sample For Your Dog! Just fill in this online form to get your FREE FetchFuel Sample For Your Dog!! 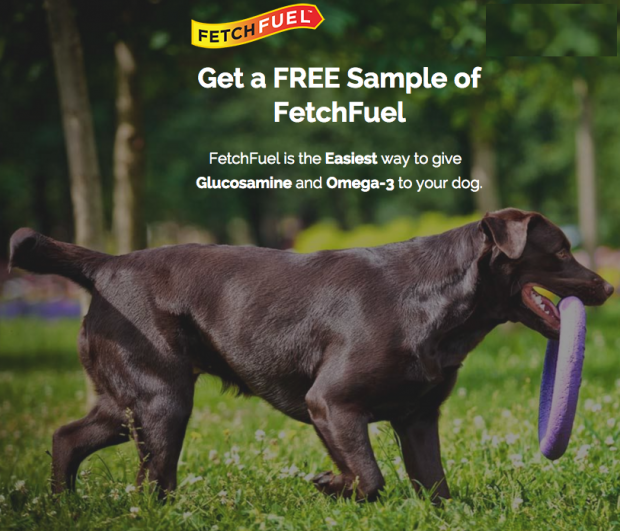 FetchFuel is the Easiest way to give Glucosamine and Omega-3 to your dog!